Pre owned luxury watches, handbags and jewellery - Xupes. Xupes - Luxury Watches, Fine Art, Photography and Antiques. Antiques & Fine Art Catalogue. 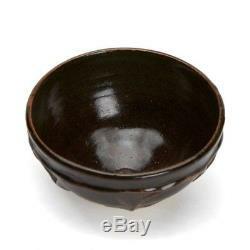 VINTAGE BROWN GLAZED WHEEL MOULDED STUDIO POTTERY BOWL. Scroll Down for more large images below text. 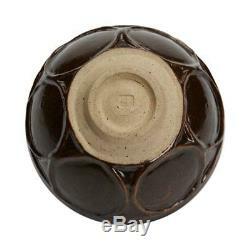 Height 7,25cm, Diameter 13,75cm. Possibly Alastair Hardie with impressed mark to base. 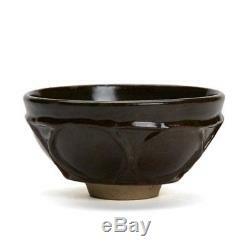 A fine and stylish stoneware studio pottery bowl of open rounded shape standing on a narrow rounded unglazed foot with a raised wheel design applied around the edge and decorated in deep rich brown glazes. 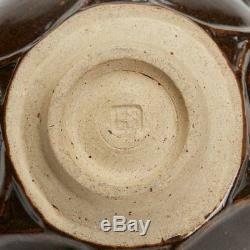 The bowl has an impressed AH mark to the base. We cannot and will not declare items below the sale value. This item has been fully inspected in house. All items are researched thoroughly by our experts who have accumulated over 30 years of experience, we check authenticity and provenance in line with the strict standards of our Xupes Promise. We always include a detailed condition report and high definition images, this ensures absolute transparency for the customer. We encourage our clients to read both our description and view our images to determine the age and authenticity of the piece and we are always happy to provide additional information if required. Otherwise we will accept personal cheque, Postal Order, Bank Transfer or Cash on collection (preferred). Please ask at the time of ordering. All items are sent fully insured. While we are not liable for these additional charges we do encourage clients to research these prior to purchasing items from us. The liability for any damage incurred during transit will remain with the sender and all items dispatched by us will be sent fully insured. We are in no way affiliated with any of the brands we sell. This is a private sale. All our products are fully backed by our guarantees giving you total piece of mind. We also have exclusive access to one of the most exciting photographic archives accumulated over the past 65 years. Xupes Limited is a registered company in England & Wales registration no. Xupes Limited is not associated with any of the brands listed. We sell only branded watches. We do not cover accidental damage or loss. We sell fine jewellery and work with specialist suppliers to bring you honest and accurate descriptions. We can however modify items (such as resizing rings) although there may be a small charge. However any tampering or alteration will invalidate this guarantee. 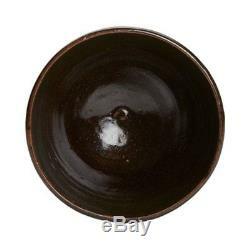 The item "VINTAGE BROWN GLAZED WHEEL MOULDED STUDIO POTTERY BOWL" is in sale since Friday, September 29, 2017.